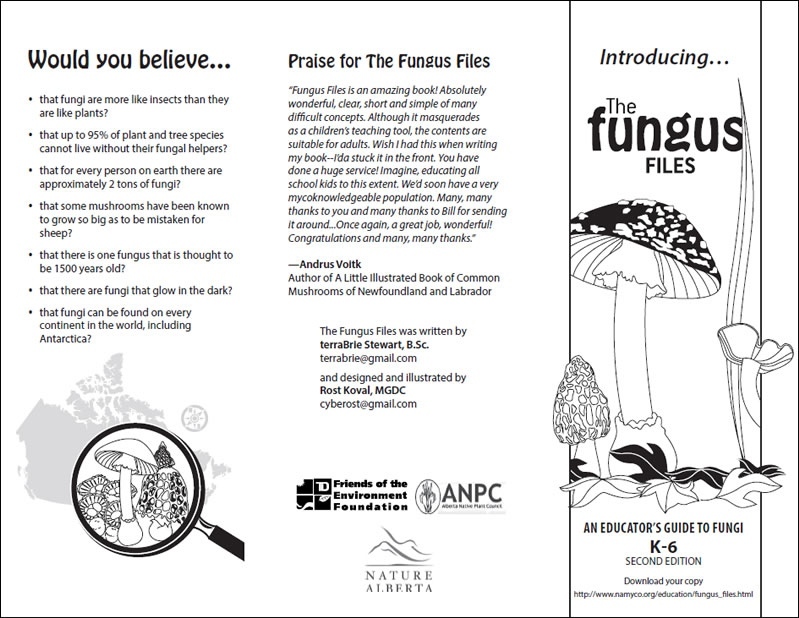 Welcome to The Fungus Files: An Educator’s Guide to Fungi K-6 (Second Edition), where the oft overlooked Kingdom of Fungi is used to promote an incredibly accessible model of interdisciplinary ecological education. The Fungus Files is packed with dynamic and diverse activities designed to be easily adaptable to students of all ages, learning styles and ability levels. Wake up your classroom, science group, nature centre, or backyard with this user-friendly tool kit! Download the entire e-book here or browse the individual chapters to find the activity that suits your immediate needs. Note on links below: section pdfs are all caps; activities are upper/lower case. The introduction presents basic vocabulary terms, and the fungal kingdom placement in ecosystem. Through an engaging profile of mythology and shocking trivia, junior naturalists integrate their knowledge through simple and fun activities. 0.2 It's a Fungal Jungle — An observation puzzle introduces fungi as an intricate part of the living ecosystem and helps students identify fungi beyond mushrooms. A cornucopia of activities to ease your constraints, whether they be no prep time, lack of tools, limited class space or rambunctious students itching for recess! Your budding mycophiles can build their identification skills and use their senses to gain a better understanding of what makes fungi, well... fungi! 1.1 Flora, Fauna, Fungi or Fiction — This origami quizmaster Illustrates the differences between fungi, plants and animals. 1.2 Shaggy Mane Connect the Dots — Connecting the dots acquaints students with a widely distributed and easily recognizable mushroom. 1.3 Anatomical Anagrams — Unscrambling the anagrams draws students into labelling the main anatomical features of mushrooms and moulds. 1.4 Key to the Fungal Treasures — An identification puzzle familiarizes students with the diversity of basic shapes of fungal fruiting bodies using "key-like" deductions. The meatiest component of your curriculum; key information is couched in diagrams for your own quick study. "Adventures in Moulds and Yeasts" is an extensive activity (with options you and your students can choose) designed to help you meet your science and math requirements by using yeasts and moulds to explore measurement and numbers, give exposure to the scientific method, and facilitate controlled environments for the purpose of scientific observation. 2.1 Wheel of Life — This simple puzzle educates about the life stages of a typical agaric mushroom. 2.2 Adventures in Moulds and Yeasts — Varied experiments and worksheets expand knowledge of fungi beyond mushrooms, and illustrate some of the properties of moulds and yeasts in three interconnected activities: Mushrooms and More, Mould Garden, and Yeasts Gone Wild. 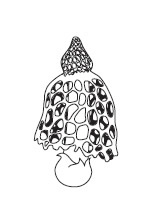 2.3 The Fung from the Dung Flipbook — A hands-on activity that illustrates how one type of fungus disperses its spores. This wholistic chapter educates about predators, the carbon cycle and symbiotic relationships through word games, mazes, and poetry. Different strengths of puzzles offer you the freedom to choose what suits your student(s) best. 3.1 CrissCrossed Fungi Crosswords — Crosswords for all levels of learning introduce new vocabulary associated with fungi. 3.2 A-Mazing Mycorrhizas Mycelial Maze — A beautiful way to visually introduce students to the symbiotic phenomenon of mycorrhizas. Starting with a quick study of societies’ and the planet’s many uses for fungi, this chapter focuses more on learning outside of the standard classroom. Activities include a supervised, safety-focused mushroom hunt, a DIY field guide, and artistic explorations. Options for older students include spore printing. 4.1 Fungal Folklore and Beyond — Teacher read and student-led activities stimulate creative interest in fungi through student-specific exploratory activities. 4.2 Guess the Guest of Honour Word Search — A word search increases awareness of the prevalence of fungi and fungal products in all areas of our lives. 4.3 Hurray for Foray — An outdoor mushroom hunt introduces students to the basics of mushroom hunting and the safety procedures of interacting with unknown fungi. 4.4 Fields of Fungi Mini Field Guide — Filling in the mini-field guide is a kinesthetic way to familiarize students with the major groups of fungi. Glossary — Great for kids and adults alike. A user-friendly way to define words needed to effectively communicate, including pronunciation of Latin terms. Suggested Resources and Sources — An essential component, including websites and books for naturalists of every age, to help you pursue your life-long love of lichens and more! Through her dedicated efforts, Stewart has achieved something extraordinary: a well-illustrated introduction to the fungi that covers many aspects of this numerous and unique group of organisms, while making the information accessible to children in several different grades. Many of the graphics are extremely graceful, and they are in turn enhanced by several different kinds of word puzzle. In many places she has also inserted aids for teachers, and she leads the students on in graduated steps, so that they can be instructed to whatever level they are capable of absorbing. Both teachers and children will learn many new and fascinating things, and this is all the more exciting because the fungi, despite their tremendous importance and ubiquity, are usually almost ignored in the school curriculum. I hope that versions of this presentation can be made available to children far and wide, in addition to those fortunate enough to live in Alberta. LIKE WHAT YOU SEE? Spread the Word Like Puffball Spores! This e-book is to be used for educational purposes only. If reproduced, we ask that you credit the author. The material will be helpful to anyone teaching about fungi to school groups, science clubs, local nature groups, and any non-specialist audience. To encourage distribution of the e-book, please feel free to print the brochure below and share it with your community. Click on the image above to open the brochure (pdf). 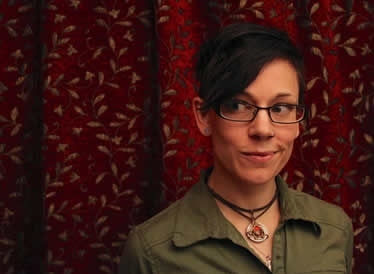 terraBrie Stewart — writer, researcher, artist — is what you get when you mix three parts Biology, two parts English Literature, and one part Latin. A graduate from the University of Saskatchewan, Stewart is fuelled by an insatiable curiosity of the natural world and a passion to express her poetic love of nature to an open audience. Her e-books "The Frog Files" and recently revised "The Fungus Files" bring an interdisciplinary, co-operative approach to learning whilst delivering effective ecological education and increasing youth awareness about the importance of preserving global biodiversity. Always in pursuit of dynamic projects which can hold her mercurial mind, she lists fungi, non-flowering plants, bats, and snakes as her greatest muses with which she has had the opportunity to become professionally acquainted. Stewart resides in Edmonton, AB, where she is employed as a locksmith.